While you are imagining your custom bumper and headache rack design. Think about the possibilities of including a top mount winch on your headache rack. This set up is real popular with hunters but can be used for any number of situations. 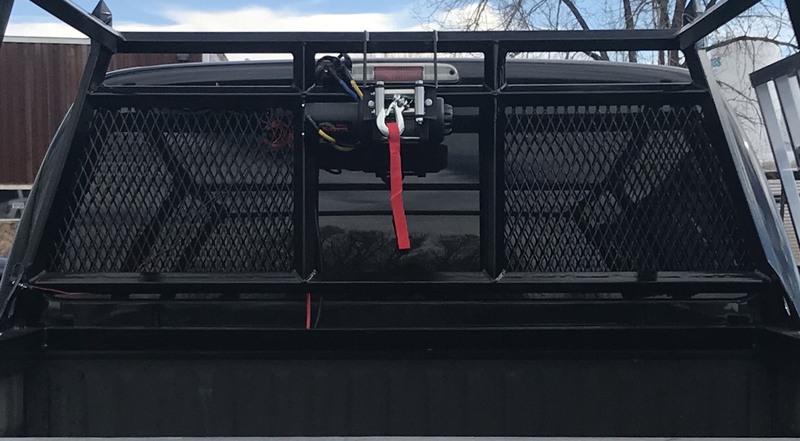 Combined with the rugged construction of Jack's headache racks, the pull capabilities of this versatile winch are big. Easy to access, excellent center of gravity location, multi-directional and multi-purpose top mounted winch. Just imagine the possibilities. Contact Jack's Bumper to get your project started.